Blue Marble Effect Armagh Series Wooden Plaques. Available in 3 sizes, 100mm, 125mm and 150mm high. 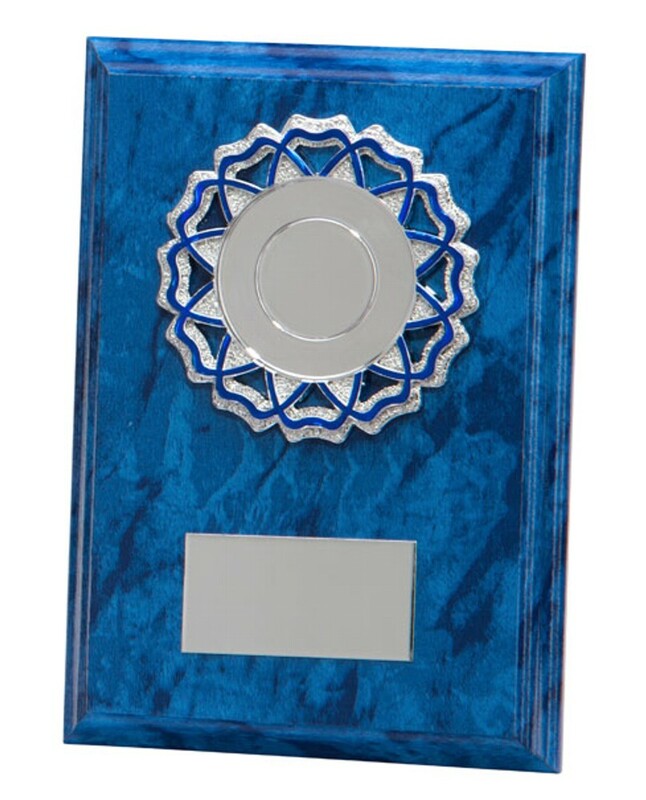 Superb hand polished, piano finish high quality plaques with a silver and blue centre holder.